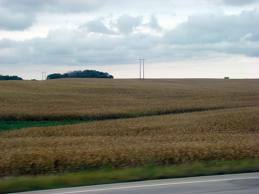 in the cornfields of Iowa. I was visiting my alma matter, Grinnell College, to attend some volunteer workshops, see some old friends, and most importantly, old professors. I ended up hobnobbing with Tim, Carolyn, Eric. People I had once called “Professor,” that nurturing yet terrifying title that speaks of that individual’s incredible passion, skill, and knowledge about a singular subject. I spent the weekend in a slight, surreal daze. Originally, I had planned to see only my favorite professors, the ones mentioned above, the ones whose numbers I now have, the ones I now call by their first names. But then I realized that there was one person I NEEDED to see who I hadn’t even thought of. When I was a second year, I thought I knew a lot. I was a good writer, I talked a LOT in class, and I got great grades. And then I took Humanities 101 with Professor Monessa Cummins. She’s like this, but in human form. 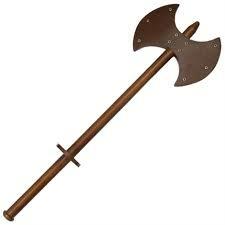 A tiny, whippet-thin battle axe of a woman, this Classics professor was completely, utterly terrifying. Even though she was teaching a 101 class, it was the most difficult course I ever took in school. One page papers would be returned with more red marks than black. You could spend hours in her office while she explained why you got a D on the paper you thought was wonderful just moments before. A few weeks into class, she implemented a rule that I could only speak twice per class period. At the time I thought it was unfair. Now I know that she was teaching me the value of listening, discovering other perspectives. Her strict paper-length guidelines were agonizing to comply with, but they taught me, the Queen of Wordiness (that’s my official title) the value of clarity, brevity, and economy. Of course, if she were reading this (which she very well might be), she would probably sigh in exasperation and tell me to get to the point already! And so I will. Why am I waxing poetic about my experience with Humanities 101? Because even though she didn’t know it, even though I didn’t know it, Monessa Cummins is the most important mentor I have ever had. I took just one class with her, but I’ve had her commanding, urgent voice in my head ever since. I was surprised when it happened, but the real reason I went back to Grinnell was to thank her. Fourteen short weeks in her class is, I can say with complete certainty, the reason I’m good at my job. Hell, it’s the reason I do it in the first place. When I went to her office, the conversation quickly turned from me thanking her to her thanking me. Our belief in others so often goes unnoticed, unthanked. But it shouldn’t. Writing and publishing are built off of mentorship. There’s no way anyone in the industry would get where they want to be if they didn’t have apprenticeships (Hi Dawn! ), internships, writing groups, or supportive readers. So take a moment. Think about who, whether unwittingly or knowingly, has been a mentor for you. Who have you been a mentor for? Identifying this, I have found, helps you pinpoint what exactly your strengths are. And, of course, it will help you with your acknowledgements when the time comes to write them….